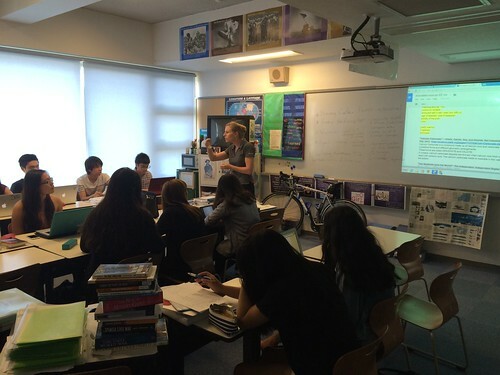 I did a round of class observations last week and my big takeaway was seeing how technology has changed education. Every class I sat in on, technology was very apparent. 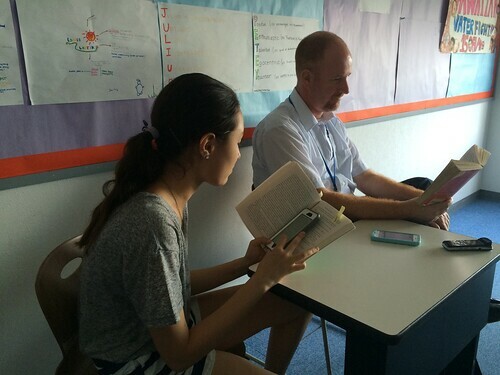 In the photo above, a high school student is reading aloud to the English teacher, Mr. Algie. She is recording her voice on her iPhone and is working on reading aloud fluency. The grade 11 class above is discussing their progress on the extended essay. The coordinator, Ms. Tara Cheney, can keep track of all the students with the help of Google Docs. She can literally see and comment on all of their works from the comfort of her desk. Students can no longer hide their lack of progress from the teacher and it facilitates quicker feedback more often. The grade 7 students were taking an online quiz while reviewing for a test. The humanities teacher, Ms. Marcella Cooper would ask the question and every student could click on one of the four choices. 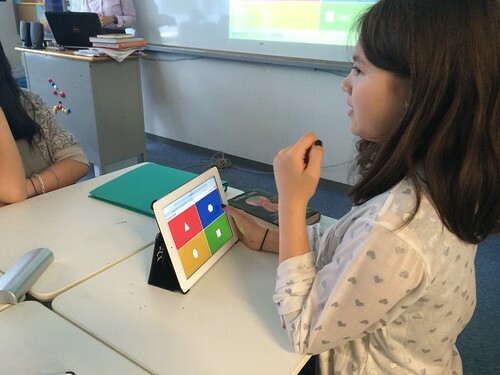 Every student’s score was instantly available including the percentage of students that were correct and incorrect. It also is good data for the teacher to see what parts of the unit the students understood well or need more attention. 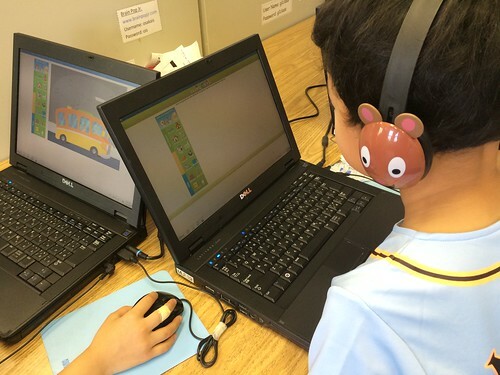 The elementary students were using a program called “Reading Eggs”. Ms. Paula Dezem, the grade 1 teacher, likes it because the stories are at each student’s reading level and it is easy for her to watch their progress. 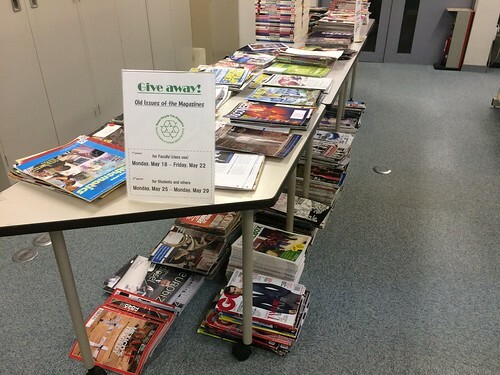 Finally as I left the library, I noticed they are getting rid of print magazines. Gone are the days of looking in the Readers’ Guide to Periodical Literature. Most articles can be found online.